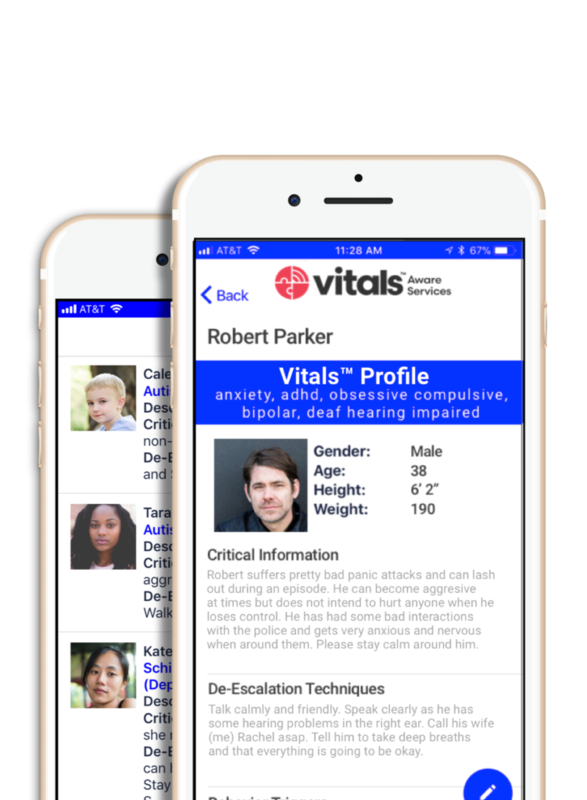 Vitals Aware Services has a potentially life-saving application for individuals with invisible vulnerabilities. An individual with a disability utilizes the app to assist in communication with emergency service personnel. Vulnerable adults can lack the confidence and ability to speak with law enforcement due to an impaired sense of danger or from feeling overwhelmed; these responses can be confused with wrong intentions, leading to escalation, injury, and other potential risks. The Vitals app has an application for the user, the caregiver, and the police officials. Caregivers will share valuable information via the app about the individual, like a list of disabilities, emergency contacts, communication tools and calming tactics specific to each person. The Vitals App is full of life-saving features that are changing the lives of the community and giving peace of mind to caregivers, and we are honored to be a part of that. Officer Rob Zink of the Saint Paul police department has two children with autism, and he understands the complexity of communication for both parties; How crucial it is for emergency responders to work and communicate safely and effectively, and how complex vulnerable adults’ communication skills can be. Speaking from this experience, Officer Zink saw an opportunity that could give more meaning to law enforcement’s interactions with vulnerable people. Rob shared his ideas with the Autism Society of Minnesota where they began piloting Vitals, and Lab651 had the honor of crafting the technology for them. Lab651 created 3 different mobile applications and the website for Vitals. The 3 different mobile applications had different purposes and interfaces for the varying intended users. One mobile application was for the officer. This mobile application notified the officer when near an individual carrying the Vitals beacon. The app would share information that the caregiver provided, for safe interaction with the individual — for example, medical information, situation diffusion strategies, and emergency contact information. 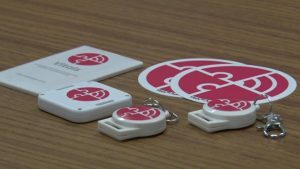 The second mobile application was an alternative to the beacon for a vulnerable individual. Instead of having you carry a beacon, this mobile application causes the user’s phone to emit a signal that is picked up by the officer’s Vitals application and then securely displayed on the officer’s phone. The third application was for the caregiver. This application gives the caregiver the opportunity to edit information for the autistic individual and to be notified when and where interactions happen between their loved ones and first responders. The caregiver also has a tethering option that notifies them if the individual exceeds 80ft of the caregiver. Lastly, Lab651 created and managed its cloud platform. The cloud platform works as an administration portal for caregivers and first responders to be able to see where interactions are happening with their loved ones, anonymously. They also built and maintained their public facing website and e-commerce store. Thanks to the Vitals App, emergency responders now have both a smart and more meaningful way to interact and assist individuals with invisible vulnerabilities. Caregivers are given peace of mind, while the independence of individuals with vulnerabilities is supported.